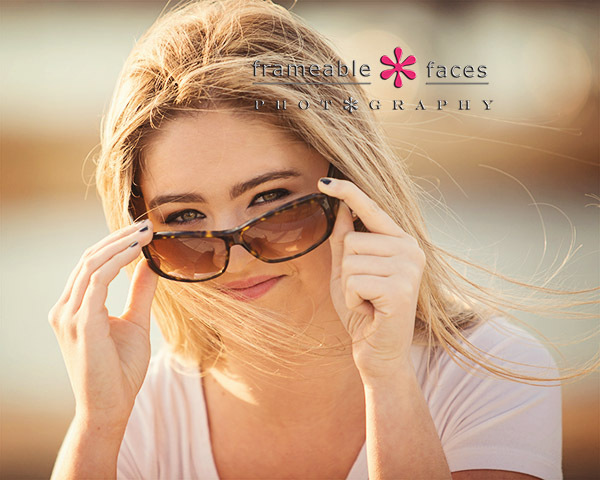 Our Very Own Spokesmodel – Lacey Lights It Up! 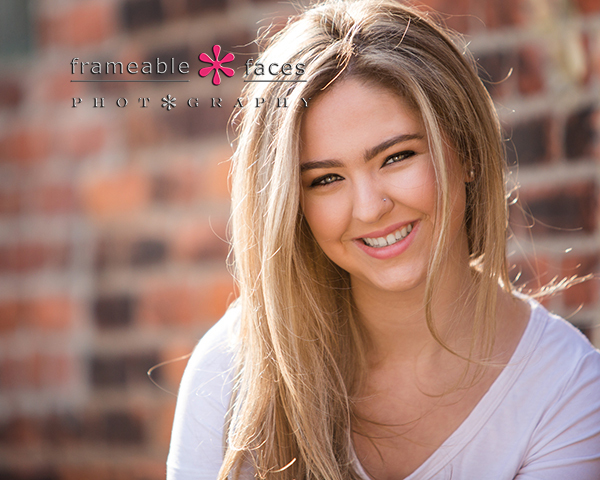 Lacey lights up the blog with these highlights from her spokesmodel session, and why not? She’s been lighting up our lives for almost 17 years – heck she was the original inspiration for the existence of what eventually became Frameable Faces when her arrival inspired Ally to pick up a camera! We’ll try to contain our glee for sharing these photos and keep it somewhat professional, but it could be tough…. lol. It is a bit surreal to say the least to be coming up on Lacey’s senior year and to have her (and even a few of her friends) spokesmodeling for the studio. She is used to being in front of Ally’s camera as you can imagine but this was different and we approached it like we would any other senior and she delivered with the best of them. We spent most of the session in Detroit – the city is seeing a massive comeback the likes of which we haven’t seen anything like in our lifetime so we’re spending a little time down there. We’ll be offering Detroit sessions for an added fee this year to account for the time and travel. Detroit is in demand and we’ve enjoyed hanging out down there a lot lately – for sessions and just for fun. That’s our baby! Let’s give a shout out here as well to Mandy at Mandy Rose Salon in West Bloomfield for Lacey’s makeup! Now having said that, this next photo isn’t one you could find just anywhere and there are plenty of great spots in the city, more of which we’ll explore with other spokesmodels. Next we have the replays of our live Periscope broadcasts from the day on our YouTube channel. If you still haven’t downloaded the Apple store app of 2015 you can do so here, follow us at @frameablefaces and come along on our senior photo shoots for the rest of the class of 2017 along with lots of other shows that we broadcast! Love it. And LOVE her. And there you have it – Lacey lights us up whenever we think of her and she lit it up that day! We hope you enjoyed these highlights of her session! We’re pretty proud of the photos and of our girl. Lily Leads The Way For Our Class of 2017 Spokesmodels! Lily leads the way for the spokesmodels of the class of 2017 with these highlights from her session and we are thrilled about it! It’s that time of year again where we start to introduce the young peeps who will represent our studio for the upcoming class of seniors for the school year of 2016-17! This is such a fun time for us as we put together our new team, build relationships with new friends, have amazing photo sessions and present these awesome guys and gals to you! We’ve always been a fan of that look! Next we have the replays of our live Periscope broadcasts from our day on our YouTube channel. If you download Periscope you can tune in live at @frameablefaces, join in the fun and get some ideas for your own sessions at this link! 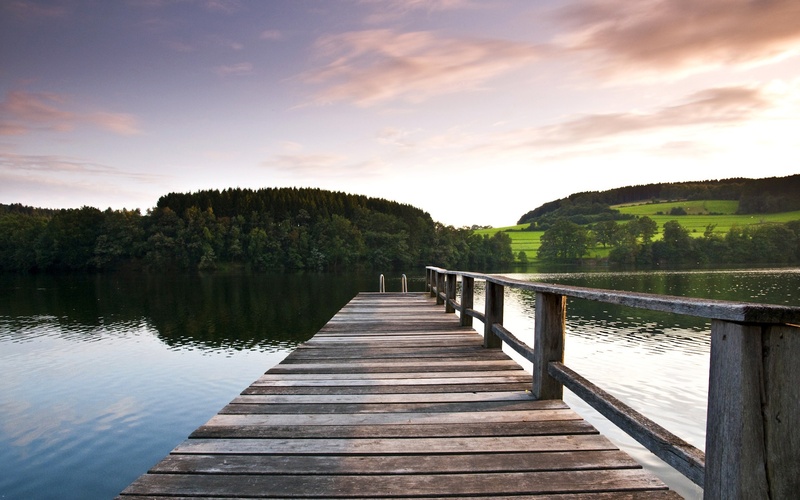 We had a perfect day for our location – mild as can be! 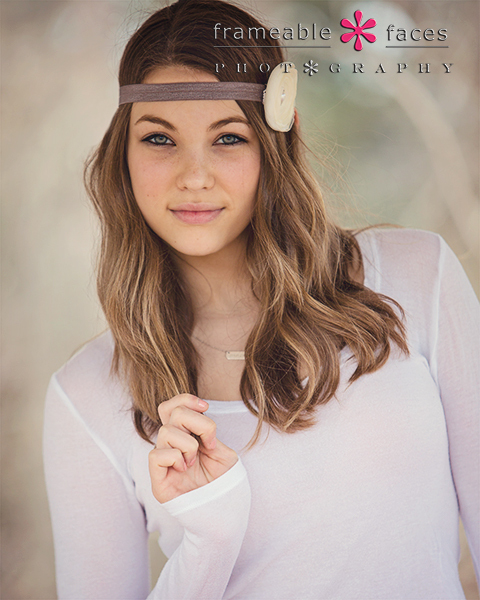 And we’ll leave you with one more for now… we love hats and headbands – accessories make for some fantastic photos! Gorgeous! If Lily’s photos are any indication, we are going to have an amazing class of seniors this year! We hope you enjoyed the highlights from our day with her and we hope you’ll come along for the ride! 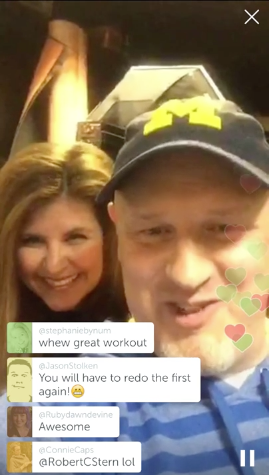 Nine MORE Types of Periscope Chatters! Survival Tips For Scopers! The Hijacker – the hijacker will try to take the controls of your broadcast and steer it to a destination of their own choosing. Often shouting in ALL CAPS they will try to promote their website / blog / dog – whatever. Very spammy and potentially blockworthy if they refuse to back off… In a promote-your-scope type of broadcast it’s okay but that’s the only place where it’s appropriate. Side chatters can sometimes combine to unknowingly tread into this dangerous territory. The Security Guard – the security guard is there to keep potential trolls in line in your scope. They will put smackdowns on inappropriate comments and alert you to whom you should block if you missed it. The security guard can actually be a welcome chatter in your room as long as they aren’t too aggressive and start scaring the other chatters. The Cryptic Chatter – the cryptic chatter can cause chaos on a broadcast by confusing the heck out of the scoper with comments that usually relate to something said at least 30 seconds before and they put zero context in their comment like “Oh yeah sometimes for sure” or “Exactly – I HATE that”. You must call out the cryptic chatter with a passive aggressive remark to let them know not-so-subtly that you have no idea what the heck they are talking about. The problem as a scoper is the extra second you take to decipher the cryptic comment keeps you a half step behind the next comment that actually contributes to the conversation. The Brand Newbie – we hug the brand newbie, we embrace the brand newbie. The Periscope community is a welcoming community of early adopters and when you see a brand newbie who tentatively enters a room with an egghead profile you should be nice to them. The Eggspert – no one likes an eggspert. The problem with the eggspert is they have no credibility – they show up in a room and start commenting in an authoritative way like they have a ton of knowledge, and yet they can’t figure out one of the first rules and that is to get a profile avatar – a photo, a logo – something other than an egg. It is perfectly okay for all chatters in the room to shame the eggspert. NOTE: Credit goes to Periscope star @MalinMOcean who coined the term “eggspert” in our broadcast when we referred to this chatter as the “no-credibility chatter”. The Spillover Commenter – this chatter breaks their comments up into multiple comment bubbles, often because they can’t boil it down to the three lines allowed in the app. This is usually a problem because the second part of the comment comes too long after the first part which can confuse the scoper and make the second part of the comment look like the work of a cryptic chatter. The Fat Finger – autocorrect is the bane of the fat finger’s existence. Whether due to carelessness, hurried commenting, or actual fat fingers, the fat finger chatter is often put into embarrassing situations by comments gone horribly wrong… we’ve ALL been there. So there you go – nine more types of chatters for you to be aware of! Here are the links to the previous posts, and there is at least one more to come! 13 Types Of Periscope Chatters – A Survival Guide For Scopers! 13 Types Of Periscope Scopers – A Survival Guide For Chatters! You may have read our post about the 13 types of Periscope chatters and you may have seen the ensuing broadcast about it on Periscope which was an epic laughfest for all involved. For that one I wrote the article first and then we did the broadcast. Well the reception to that broadcast was so fantastic it inevitably required a sequel, and this time we did it in reverse. I made a few notes, put together a slide show and we did another broadcast once again with Ally providing the demonstrations. So now here is the companion blog post. Now that we exposed all the different types of chatters we encounter on Periscope, let’s turn the tables on the scopers! Here’s the actual broadcast and the breakdown of the 13 below. The Too Close For Comfort Scoper – this scoper isn’t going to be satisfied until you have become completely acquainted with their nose hair, teeth and eyebrows – or as some chatters pointed out in the broadcast, the pores in their skin. The Distracted By Comments Scoper – this scoper will literally try to start the same sentence 23 straight times and won’t be able to do it because they just can’t stop answering all the comments. Always a challenge since you want to be social and talk to your viewers, but sheesh – get on with it man!!! This scoper may also graduate to being a juggler – more on that later. The Bad Lighter – this scoper is scoping in the dark while asking you your opinion on something that’s impossible to see because, well, they’re scoping IN THE DARK. The Earthquake – tons of turbulence here… in the broadcast you’ll see that everyone was getting dizzy and nauseous because the scoper is unaware of how important it is to try to steady their smartphone. Watch, I’ll end up feeling bad about this one if someone is scoping during an actual earthquake. The Shy Scoper – curious that someone would download this app and start scoping if they don’t want to be seen, but some scopers are nervous and they scope the floor or the wall while talking to you… Or maybe they haven’t figured out how to double tap their screen yet. The Thankful Scoper – these people are SO happy that people have showed up to their scope! They will gush and jump for joy when people show up, and sometimes a certain special scoper will pop in that will make them lose their mind completely. The Beggar – a potentially annoying scoper to be sure, the beggar will campaign for hearts, shares, follows, tweets, and invites. They will find any number of creative ways to get you to tap your screen – they are completely addicted. The Unable To Gauge What’s Actually Exciting Scoper – as a side note I’m pretty disgusted with myself for misspelling “gauge” in the slide deck for the broadcast on this one… In any event, this scoper sees a squirrel in a park and thinks it’s going to be ratings gold. Most people have encountered squirrels. Seeing someone else encounter one by watching it happen on your iPhone isn’t quite that exciting. You don’t need to scope the squirrel. The Off-Topic Scoper – pretty self explanatory. This scoper will entitle their scope “5 Things To Do In Detroit” and end up scoping about, well, a squirrel, or maybe Game Of Thrones. Sometimes this is partly the fault of the Off-Topic chatter who throws the scoper off-topic. The Juggler – the juggler sometimes starts out as a “distracted by comments scoper”. The juggler tries to keep three or more separate conversations with three different chatters going at the same time. It never goes well and this inevitably can lead to injury. The Long Goodbye Scoper – this scoper says they HAVE to go. They are signing off, but wait – they can’t leave while hearts are still flowing, comments are still going, and chatters are still showing. These people are often closet beggars. These goodbyes seem to go on forever and sometimes something is said that restarts and extends the scope which proves that the scoper really had nothing else to do in the first place. The Unprepared Scoper – note the title indicates that there are 13 scopers for this post, but in order to demonstrate the importance of scope preparedness we snuck in this 14th scoper which proves the point. Prepare for your scope so you aren’t scrambling in the middle of a scope to find something else you meant to cover and can’t find. This can be uncomfortable for all involved. So there you have it! The 13 Types of Periscope Scopers! There are plenty more where they came from and I’m sure this will be good for at least a couple more scopes of categories of chatters and scopers, so stay tuned…. Yes it’s that time again… time to RANT. I have 4 basic topics to cover so let’s get to it. Rosh Sillars tweeted the link to an article about Instagram this morning written by Andrew Hutchinson for Social Media Today which I thought was good. You should read it. Now while I do NOT disagree completely with the idea that image quality is everything for certain strategies on Instagram, I do disagree with this as an overall statement. So those of you who know me will know that I feel the need to respectfully present the counterpoint in the spirit of healthy debate. Instagram is social. Perfect art might not always be. A collage or a funny incident can tell a story or start a conversation – an interesting one. A perfect photo can too I suppose, but when you go to an exhibition or art museum they don’t hang a white board with a marker under the display for people to engage and leave comments. Tell a story and have fun with your followers and don’t always worry about the quality of the photo. To borrow something that Mark Shaw (one of my favorite Periscopers) might say, it’s not Autogram – don’t just broadcast perfection at people to show top quality. Now don’t post total garbage either, but keep the focus on being fun and social. There is a ceiling on how awesome your images can be for your following because of the platform. Many people are looking at these images on an iPhone. 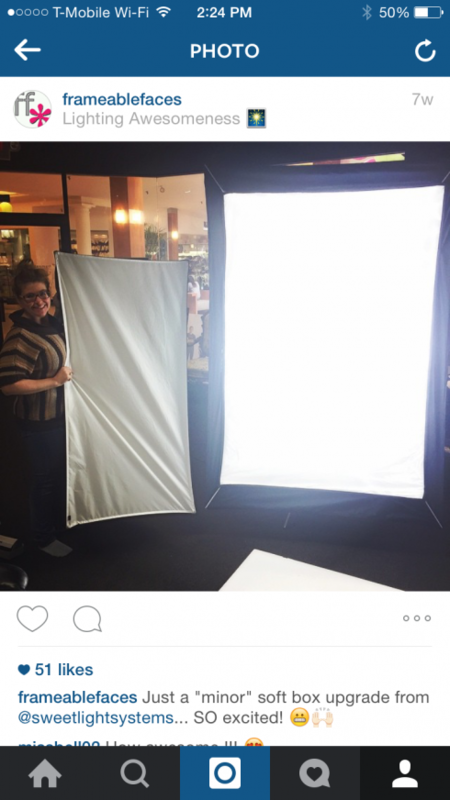 Is that really the best way to see a professional photo? It’s not a bad way per se, it’s just not the best way. An EZ Bake oven isn’t the best way to bake a top notch cake, but it could be the most fun cake of your life if you do it with a child. 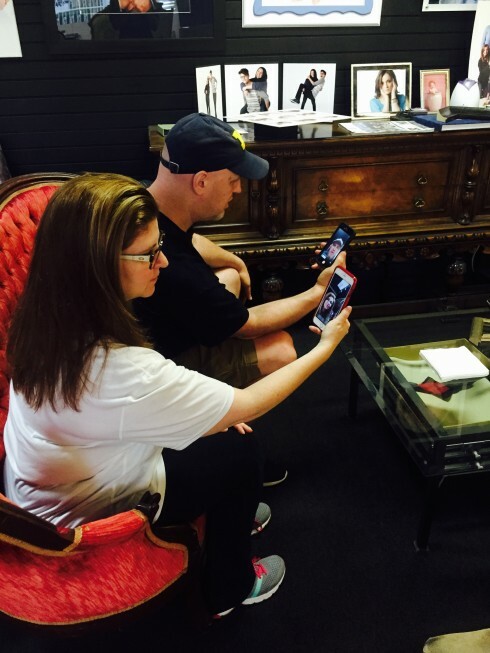 Our clients come to our studio to get images to hang as their centerpiece on a wall – not just to look at on their iPhone. So once again – don’t always worry about the quality. You typically can’t show off the very best of a quality photo on an iPhone. This is another one I go against the grain on. I do not like email lists. I’ve never sent out regular email newsletters or tried to build an email list of clients. I’m not saying they don’t work, I’m just not interested in sending emails to clients. Email has been around since well before social media existed, but it’s done on a computer or some other electronic device so it’s not as old school as say, junk mail, so let’s call it “post-old school”. I suspect it works largely as a numbers game – not because getting another email is sooooo awesome. Will YouTube come back for brands? I’ve been posting more video to YouTube since I started Periscoping. I like to repurpose some of my scopes and upload some of my tips to our YouTube channel. It has led me to hang out on YouTube with a renewed sense of purpose as a brand, and I’ve connected with people on Periscope who are doing the same. When I went back to the channels and brands I had subscribed to before I saw that many of them hadn’t posted anything in months, but I think this could change… Just my guess – this is one where I’m just wondering aloud. This is a whole other topic in itself on ways to effectively build your brand on YouTube which I’m exploring in new ways now. I’ll keep you posted. What are your thoughts on this? 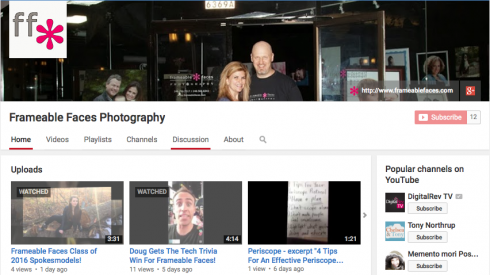 Do you subscribe to channels and organize your YouTube channel with playlists? As an individual? As a brand? Are you social there? Subscribe to our channel and let’s connect! 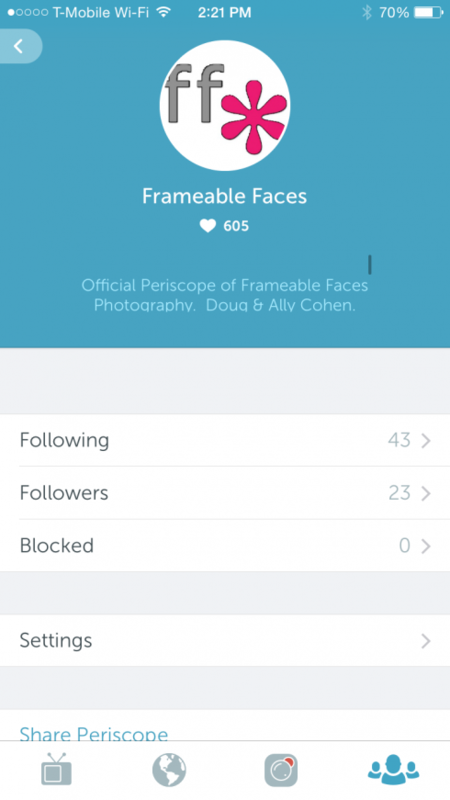 Of course it comes back to the game-changing monster that is Periscope. I wrote a post for MCP Actions about 5 very specific ways you can use Periscope for your photography studio… and I also wrote a post here about what you need to know about Periscope (so far) back in April. At this point I’m totally hooked – I’ve built some great relationships in ways I never did before on any other platform. I notice however that many people still don’t know what it is yet and haven’t given it a try, so I think I’ll be writing another post soon about what you can accomplish with Periscope. The people who aren’t early adopters might want to know what the “why” is… While I’m at it I may write one about who you should follow there. That’s it for now – I’d love to hear your comments on this whether you agree or not. Thanks for reading and join me on Periscope where we can discuss these further!